Can I download the videos in the FYI app to watch later? Does the FYI app support closed captioning? 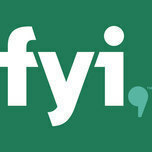 Is programming in the FYI app available in HD?